Beach PC recommends four basic software programs for protection and performance of computers running the Windows operating system. All four of these programs are "free" versions, offered by their parent company in hopes that you will purchase their "paid" versions. The first two (Avast & Malwarebytes) are "protection" programs designed to help detect and eliminate viruses and malware. 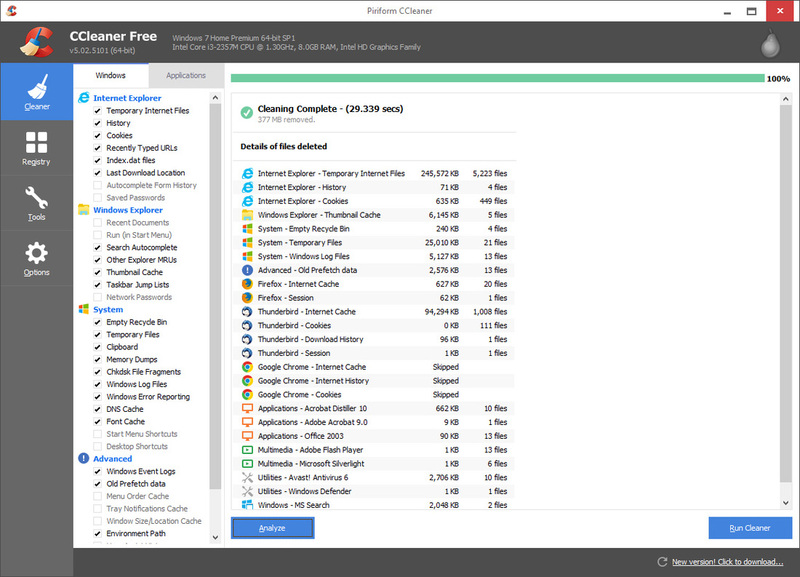 The third (CCleaner) is a "cleaning" program designed to improve and maintain your computer's performance. Avast's "free" version is a great program, offering the user a huge amount of protection at no cost. It provides both "automatic" protection and "manual" protection. The "automatic" protection looks at incoming emails, monitors the installation of programs on your PC, and looks ahead at the websites you visit. The idea is that Avast tries to notify you of pending threats. If you feel that your computer might have been infected, then you can perform a "manual" scan. 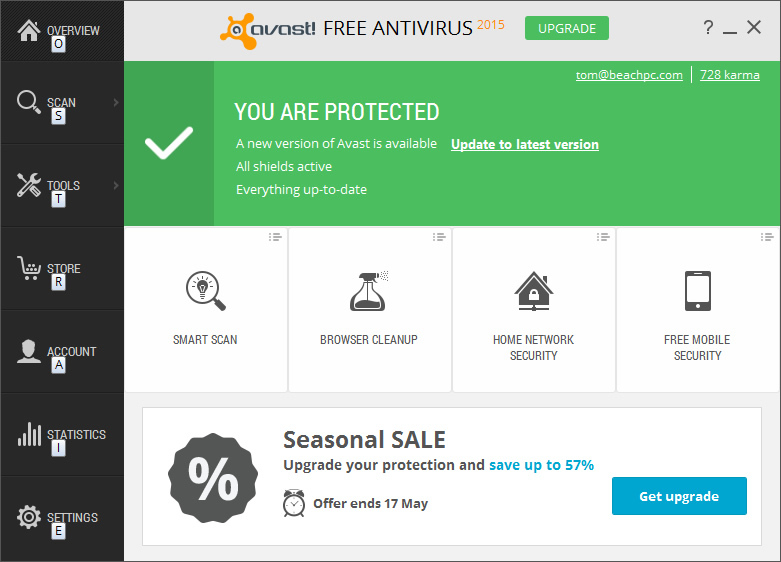 To use Avast in this way, open the Control Panel, then click on the "scan" button located in the upper right hand corner (pictured on right). It's a good idea to "manually" scan your computer at least once every 7-10 days. Be aware that because it's a "free" version, you will receive advertisements from time to time, designed to convince you to purchase their "paid" version. Malwarebytes is a valuable program designed to help identify and remove malware that has found it's way to your computer. The "free" version that we install does not provide "automatic" protection. Instead, you must rely on periodic scans to identify and eliminate malware infections. The "paid" version provides "automatic" protection. To scan your computer, open the Control Panel and click on the "Scan Now" button. We recommend that you perform a "manual" scan at least every 7-10 days. CCleaner has become the most popularly downloaded program available on the Internet. It provides many benefits to the user, but the it's primary goal is to keep your computer "clean" from unnecessary files. After starting this program, you will notice many check boxes running down the left side of the Control Panel. Each of these check boxes indicate a type of cleaning that will be performed when you click on the "Clean Now" button. The check boxes can be un-checked to prevent that particular type of cleaning. For example, if you like to keep your browsing History, then uncheck that box. We suggest that you run CCleaner EVERY DAY. If you do, then the cleaning process will be very quick, and your computer will always perform at it's peak.